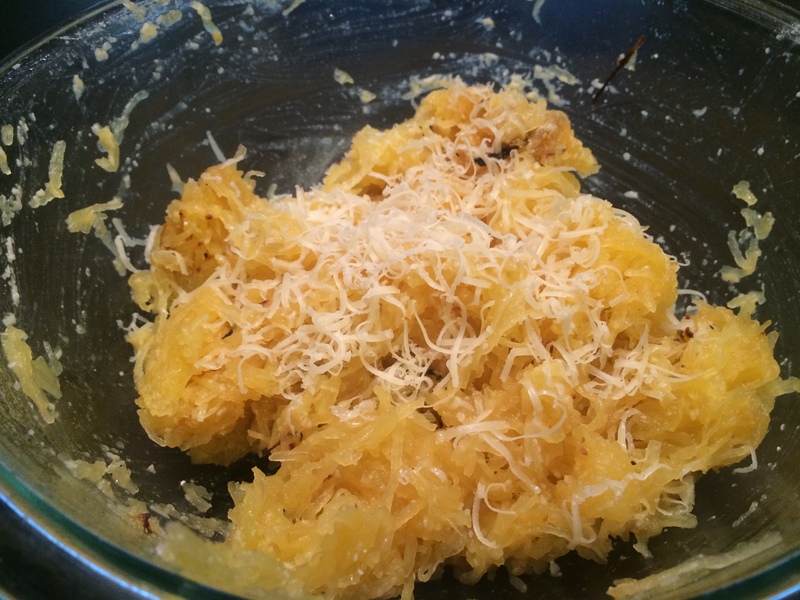 Spaghetti squash is such a delicious and nutritious way to curb those carbohydrate cravings and still feel satisfied. It’s a great base for so many recipes and the SS has a satisfying al dente bite like the best pasta. 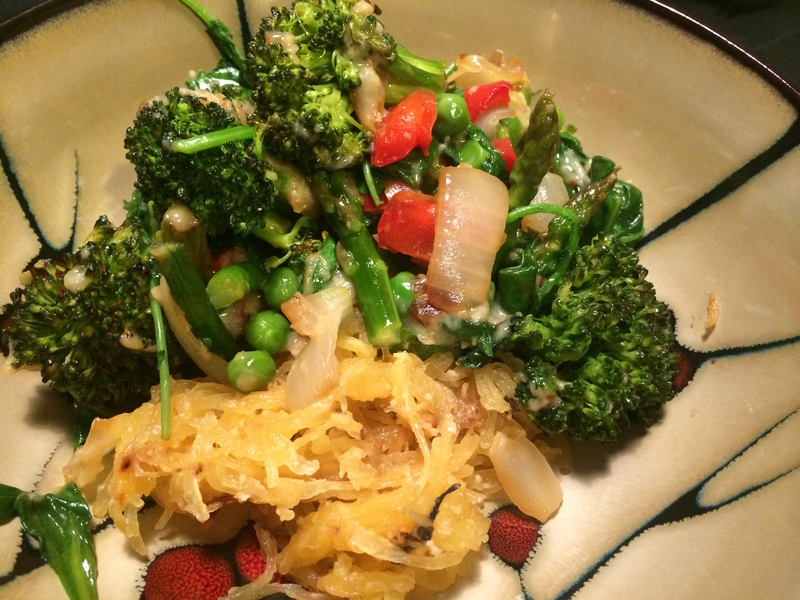 Each serving of SS only has 42 calories, 10 carbs and 1 gram of protein. 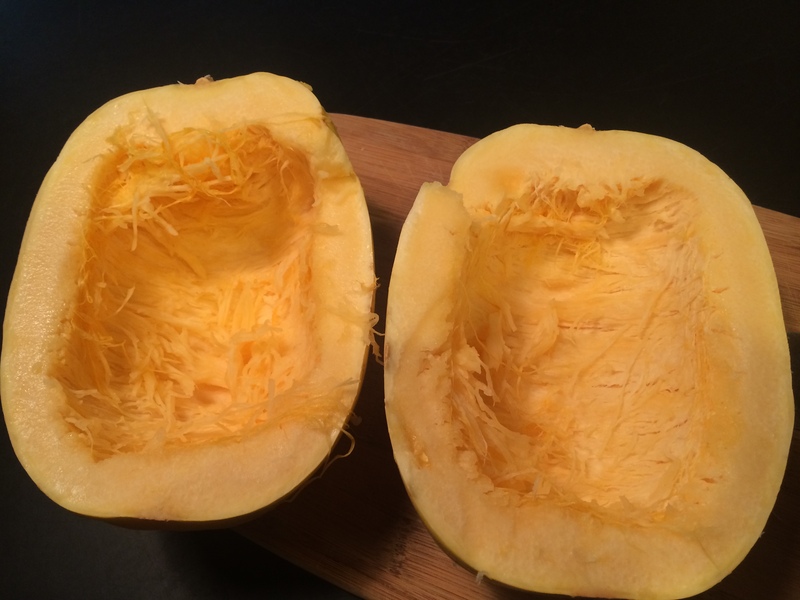 It’s not as packed full of nutrients as other squashes such as butternut or acorn but it definitely has a tighter and leaner nutritional profile than traditional pasta or rice. 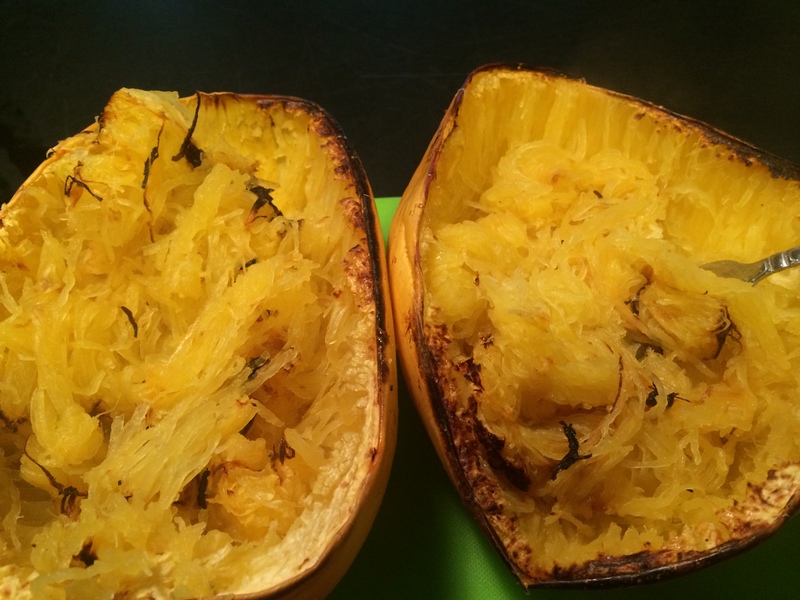 Preparing spaghetti squash is super easy. 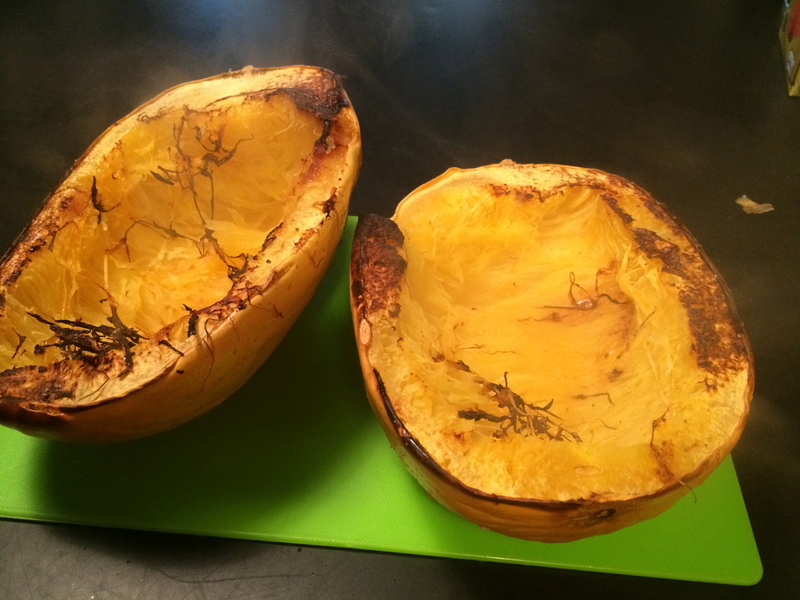 First I cut the squash in half and spoon out the seeds and fibers. 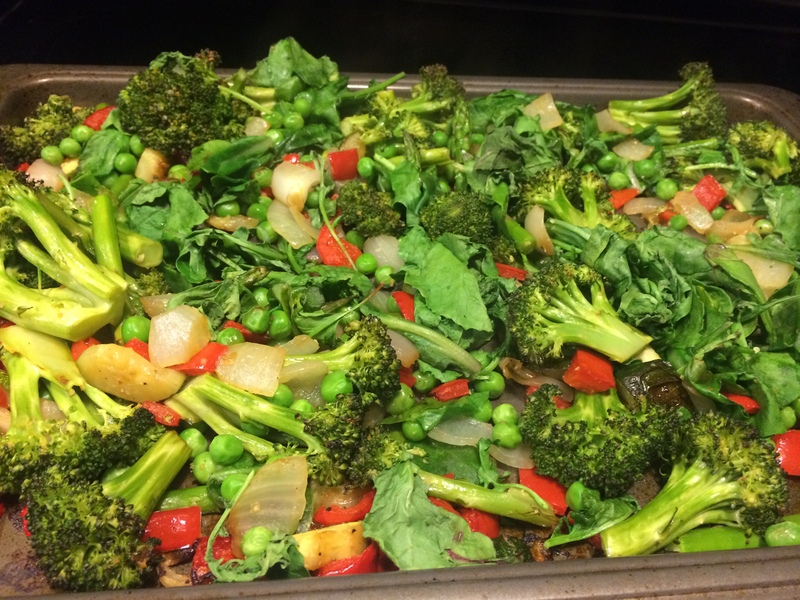 I pour a little oil, salt, pepper and garlic powder on a baking tray and roast cut side down at 425 degrees for 45 -60 minutes until easily pierced with a knife. Flip it over and let it cool slightly so you can handle the skins. 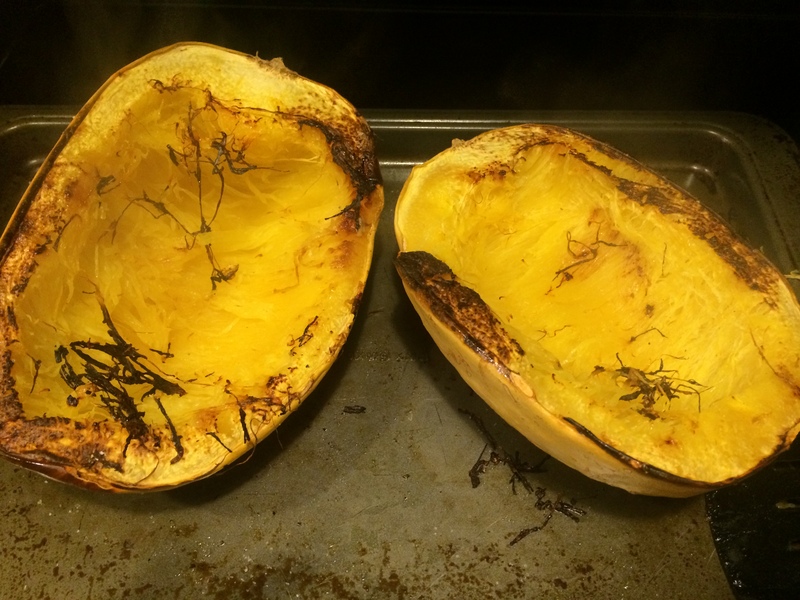 Then simply take a knife and scrape the squash from outer skin to center. It peels out like strands of spaghetti.